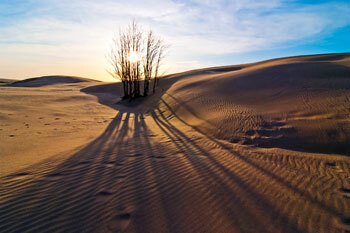 Silver Lake Sand Dunes is nestled in Oceana County on Michigan's western coastline, approximately half-way up the state. Oceana County was organized in 1855, it was named after its long shoreline on lake Michigan. The first known white settlement was a saw mill site built in 1849 at the mouth of Whiskey Creek. The county grew during the lumber era, with the development of Pentwater, Shelby, and Hart, the county seat. 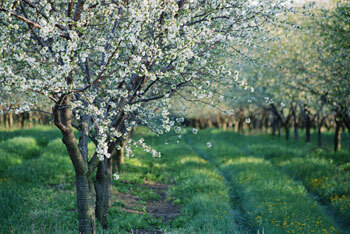 When the lumber boom came to a halt, farmers found the area an excellent place for orchards. Today, it prospers, holding the second largest fruit tree acreage in the state. It is also known as the asparagus capital of the world. Tourism plays a vital part along the county's coastline. Pentwater is a major summer resort, as is the Little Sable Point area, with Silver Lake and the sand dunes, one of the few places in the nation offering first class dune scooter rides to view the pristine sandy coastline along the Big Lake. 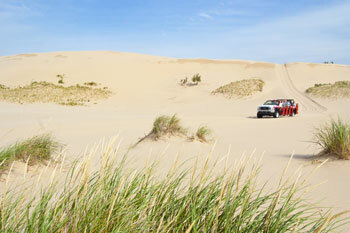 Inland, many recreational spots abound in the Manistee National Forest, which dots the county. There are also great canoeing and fishing along the White River beginning at Hesperia. For sightseeing, fruit picking, or just plain outdoor fun, Oceana County is where you want to be! According to the U.S. Census Bureau, the county has a total area of 1,307 square miles (3,384 km²), of which, 540 square miles (1,400 km²) of it is land and 766 square miles (1,985 km²) of it (58.64%) is water. 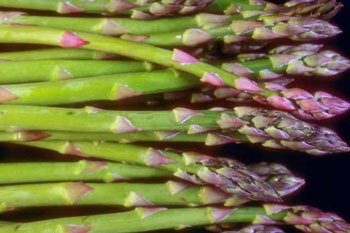 Oceana County is famous as the "Asparagus Capital of the World" for its high production of asparagus. The annual National Asparagus Festival includes a parade and crowning of the Asparagus Queen. This is a source of great pride for those who are so crowned. As of the census of 2000, there were 26,873 people, 9,778 households, and 7,265 families residing in the county. The population density was 50 people per square mile (19/km²). There were 15,009 housing units at an average density of 28 per square mile (11/km²). The racial makeup of the county was 90.37% White, 0.32% Black or African American, 1.04% Native American, 0.25% Asian, 0.03% Pacific Islander, 6.10% from other races, and 1.89% from two or more races. 11.61% of the population were Hispanic or Latino of any race. 22.4% were of German, 10.1% American, 8.8% English, 8.6% Dutch and 8.0% Irish ancestry according to Census 2000. 89.1% spoke only English, while 9.9% spoke Spanish at home. In 2000, Oceana County had the highest percentage of Latinos of any county in Michigan. In 2000 there were 9,778 households out of which 34.00% had children under the age of 18 living with them, 60.50% were married couples living together, 9.20% had a female householder with no husband present, and 25.70% were non-families. 21.60% of all households were made up of individuals and 9.50% had someone living alone who was 65 years of age or older. The average household size was 2.67 and the average family size was 3.09.